If you have only a short amount of time in Iceland, then the Golden Circle is the adventure to go on. There are several ways you can visit the Golden Circle: a large tour bus group, a smaller tour van, or rent a car. We opted for renting a car through Budget for our Iceland trip since we are super-independent travelers who don't particularly like people. Okay, we're anti-social and we like the privacy of being able to swear and say terrible things. However, if you're more of a tour group person or don't want to dare driving in a foreign country, then there are plenty of tour groups that go out to the Golden Circle. Let me say one thing about driving in Iceland, it will most likely not be challenging for American drivers. They drive on the right side of the road, the roads are mostly in excellent condition, there's almost zero traffic, and the signs are clear. Though, I was not the one driving because most of the rental cars are standard and I can't drive stick. Prices for the lowest-range rental car run less than $300 dollars for six days, and they added the extra driver for free when I mentioned I wouldn't be driving the car. The first stop on the Golden Circle is Thingvellir National Park. This national park is home to the first parliament in Iceland, truly the first parliament in the western world. When I think about this, all that comes to mind is a line from the show Vikings "Are you going to the Thing?" Just makes me giggle. Because of this, Thingvellir was named the first national park in Iceland in 1930. Not only is it historically important, but it's an important geological site. This is one of two places in the world where you can see the tectonic plates above ground. The Eurasian and North American plates are moving apart from each other at a rate of 2cm per year. The ridge makes for a dramatic landscape and great sight-seeing. Be aware, this place will be crawling with tourists, but it is so worth it. In addition to seeing the tectonic plates from above, you can go snorkeling at Silfra and swim between the tectonic plates. From what I've seen, the water is incredibly clear and it's an amazing experience. It is something I definitely want to do on a return trip to Iceland. Next stop on our self-guided tour of the Golden Circle was the Haukadalur geothermal valley, which is home to geysers Geysir and Strokkur. 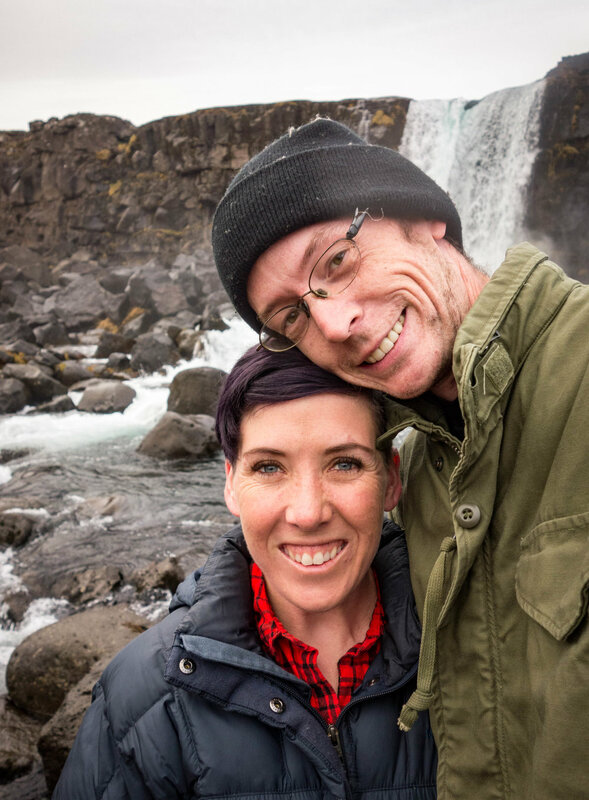 One of the things to know about national parks in Iceland: they do not charge you entrance fees, which is nice since Iceland is not a budget destination. 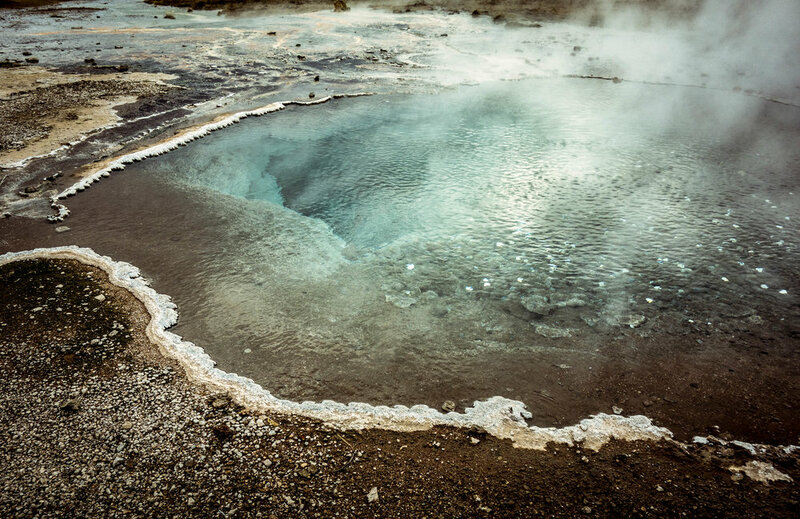 The term "geyser" comes from Iceland. It comes from the Old Norse term "geysa" which means "to gush." When you see Strokkur in action, you know exactly what they mean. Now, I haven't been to Old Faithful in over twenty-five years so the display was pretty amazing to me. Strokkur goes off about every four to five minutes so you're sure to catch it along with the other crowds of tourists. In the same area of Strokkur are other smaller geysers and geothermal pools of varying sizes and colors. I loved watching the steam roll over the geysers. Be careful around the pools and do not go wandering off trail. We saw an elderly woman who decided to go off trail and almost stepped in a geothermal pool. We finished our visit to Geysir with a trip to Saup, a vegetarian soup restaurant with expectedly overpriced soup. My boyfriend enjoyed his creamy tomato basil bisque, but I was not impressed with the curry soup. The cilantro in it was the most intense I've ever tasted, and I am one of those people who thinks cilantro tastes like soap. Also, the sweet potato was undercooked and had a strange texture. Our last stop of the day was Gulfoss, or golden falls, one of the largest and best-known waterfalls in Iceland. Typically, the water takes on a blue-green color but with the recent rains it was more a murky gray-brown. While there were prettier waterfalls in Iceland, this one impressed with sheer volume. The Golden Circle is a definitely must on any trip to Iceland. We left around 8:30 in the morning and got back around 4 in the afternoon. We probably could have checked out other things along the way, but we were tired and wanted to get back before it was dark.